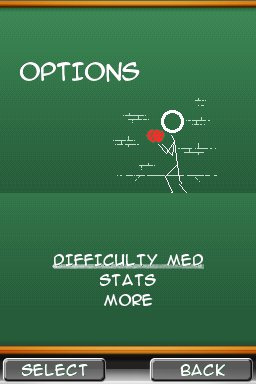 With all the sudoku games that have hit the DSi Shop since the service launched last April, it's nice to occasionally see a pen-and-paper puzzle game for DSiWare that doesn't involve numbers. 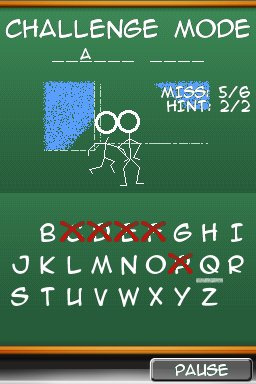 In Extreme Hangman, Gamelion has taken the time-honored word-guessing game and turned it into something a little more interesting. Where before you were merely hoping to save.. 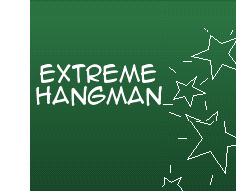 It's classic Hangman, but to the extreme! 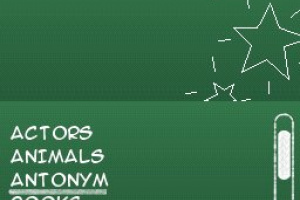 There's never been a Hangman game like this before! 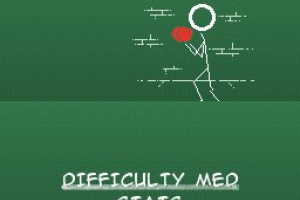 The world's favorite time-killer game takes an absurdist twist of comical proportions. 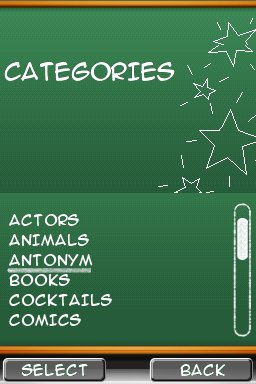 Taking place in various settings, the gamer's mission is to save the Hangman from his enemies by guessing the hidden word correctly. By guessing incorrectly, he is put one step closer to being shot, strangled, erased, or hanged by his enemies. 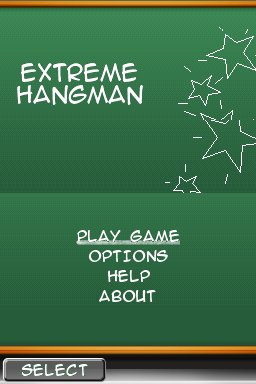 Extreme Hangman features seven different settings with fun animations, over 2000 words in various categories, and three difficulty levels. Already renowned on the Verizon Network, the game will be published to the American market by Gamelion Q3 this year. If it's 200 points I'll give it a try..
For 500 points or less...it's an instant buy for me. 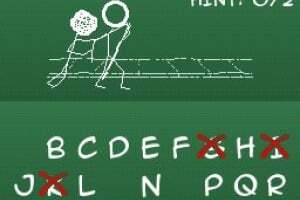 I've always had an affinity for Hangman. 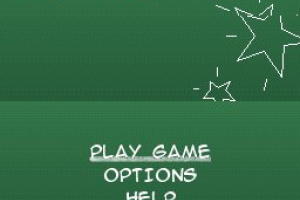 lol, hangman getting shot or strangled, now that's funny. If it's a good price it might be worth it just to see that! I'd play it, but only for 200 points. I'm so glad it's coming, I can't wait for 2/8!! 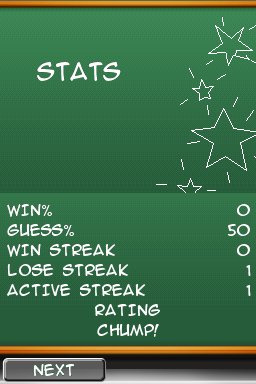 Ever since getting my DSi, Mondays have been a pleasure. 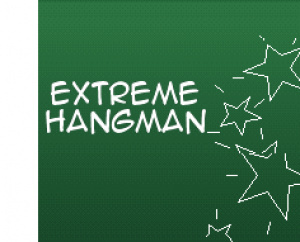 This Monday will be awesome when Extreme Hangman comes out - w00t! mondays are now my favorite day of the week now! EXTREME!!! For all those guys saying they'll buy it for 200 points, it is 200 points. Awesome, I will have to pick this up!